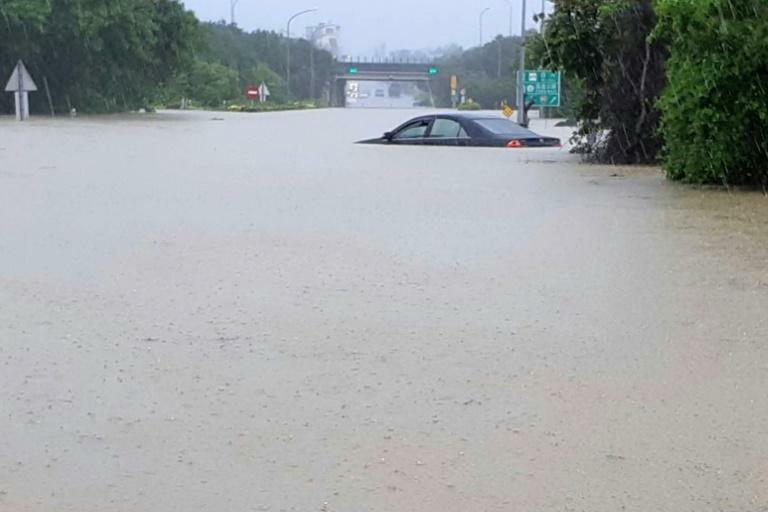 Six people have been killed by floodwaters in Taiwan, officials said Saturday, after days of heavy rain forced thousands to evacuate their homes. A tropical depression has been dumping torrential rain in central and southern Taiwan since Thursday, with some districts receiving close to 1,000 millimetres (39 inches) of rainfall. Television footage also showed scooters and cars half-submerged in water and roads blocked by landslides. Although the depression has already moved northwest away from Taiwan, floods have yet to recede in many areas. Taiwan's weather bureau said the severity of the downpour was "extremely rare".